Holocaust films are inherently horrifying. However, most of them show a big-picture or impersonal view of the atrocity told through the story of someone extraordinary (Schindler's List, The Pianist, etc). While films like the aforementioned ones are by most people's standards excellent films, they aren't experiences to watch. László Nemes' Son of Saul is a visceral experience. 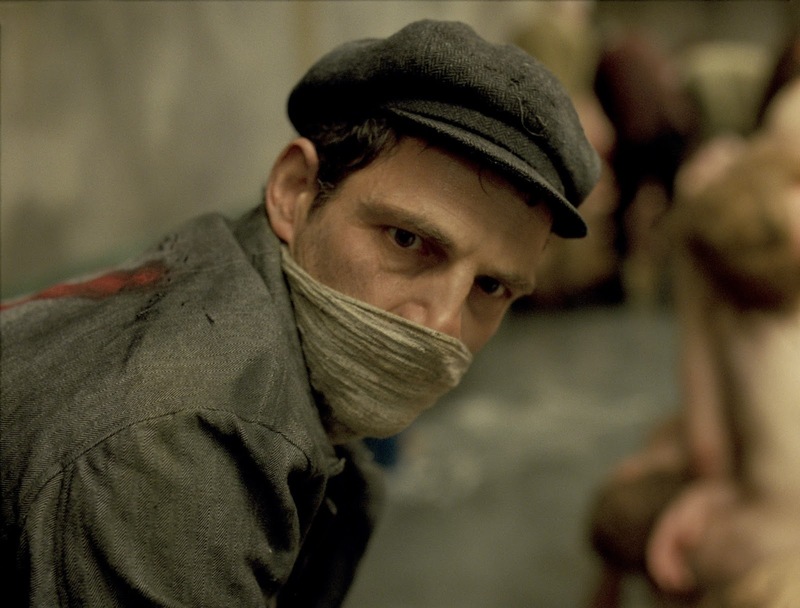 Shot in a claustrophobic 4:3 aspect ratio, Saul is tells the story of a member of a sonderkommando (a group of Jewish prisoners who worked in the gas chambers), Saul (Géza Röhrig), who finds the body of a young boy in a gas chamber who resembles his son, and his struggle to give him a proper burial. Nemes and cinematographer Mátyás Erdély shoot the entire film from Saul's point of view, relying heavily on Tamás Zányi's complex sound design to fill in what isn't shown onscreen. Everything we see and hear is what Saul sees and hears, making this film the most immersive film ever made about the Holocaust. Nemes takes his audience through the concentration camp, a literal hell on Earth, and avoids sentimentality at all costs, finding small moments of humanity to provide momentary reprieve from the camp's horrors. Son of Saul is not a film that evokes tears. Instead, Nemes uses this film to evoke a deep feeling of numbing horror. Because Saul is unrelentingly brutal, the viewer, like Saul, becomes numb to the horrors depicted onscreen. It's a uniquely unnerving feeling to look at a pile of naked bodies and look at it as if it's normal. As Saul, Géza Röhrig gives a performance for the ages, leading the audience through this hellish journey with subtlety and nuance. Röhrig's work in Son of Saul is one of the most impressive acting showcases of the year, as Nemes relies on him to tell Saul's story, past and present, through his face. He walks around with a disturbingly blank expression on his face, numb to the horrors around him. Everyone around Saul goes through their lives with one goal, survival. Saul is the only prisoner with a tangible mission, and this ultimately allows him to keep his humanity in the face of inhumanity. And, the final frame of Röhrig's performance is one that will haunt me for a very long time. Overall, Son of Saul is an innovative masterpiece of cinema. It's one of only a few films this year to truly move the medium forward and try something completely different. Frequently experiments like this one fail, but Saul is a massive success. And it's all the more impressive when you realize that this is a debut feature. Son of Saul is likely the closest any of us will come to experiencing life in a concentration camp. While many viewers will leave the theater feeling physically ill as I did, we all need to remember to be thankful that we can return to our normal lives once the film is over; Saul and those who he represents, couldn't.